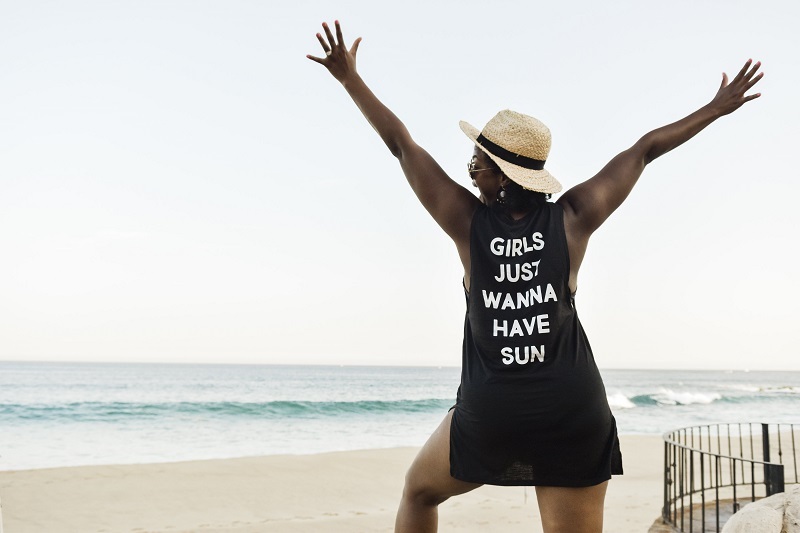 We just came back from a girls’ trip to Los Cabos, and it was an adventure to remember. Both of us had gone before, but this time – as Alaska Airlines’ Weekend Wanderers – we were very intentional about experiencing new things and getting out of our comfort zones. When we arrived at the Sheraton Grand Los Cabos Hacienda del Mar, we knew we were in for a treat. The AAA Four-Diamond resort has five pools, eight restaurants and entertainment. But, arriving at an amazing resort is just the start of an epic girls’ trip – it’s about the experience and how you spend your time. Here’s how to make the most of your visit to Los Cabos. Vacations are meant to be relaxing, but why not turn it up a notch and experience something new? 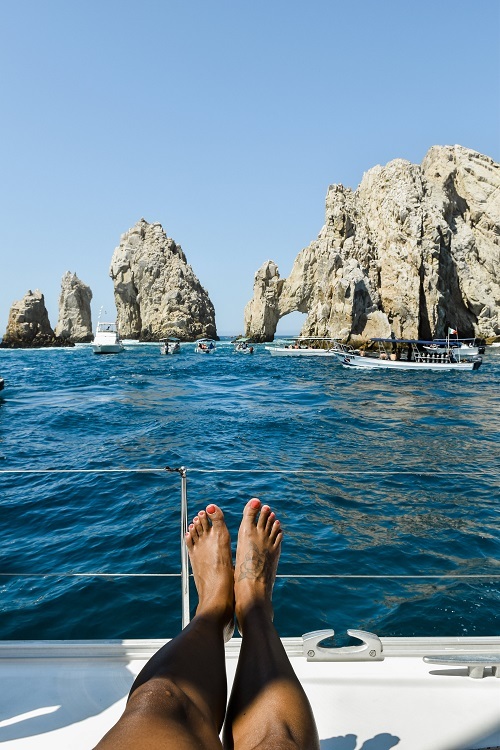 We embarked on a luxury sailing day through Cabo Adventures. The company picked us up from our resort, and the tour lasted approximately 4 hours. It was well worth the time. We sailed around El Arco (The Arch), a natural rock formation where the Sea of Cortez meets the Pacific Ocean along Lover’s Beach. We saw a sea lion colony, and then enjoyed some swimming, snorkeling and paddle boarding at Santa Maria Beach. We spent the last hour of the ride doing some legitimate sailing. The sails were lifted, and the boat was tilted on its side for at least 15 minutes. All of our personal items were placed in the boat because everything would’ve fallen into the water (we would’ve been thrown in too if we weren’t holding on to the rope!). The sailing excursion is perfect for thrill seekers, and we would totally do it again. There’s nothing like getting out of the resort and seeing all Los Cabos has to offer. From San Jose Del Cabo to Cabo San Lucas and the corridor in between – it’s a unique region. Cabo San Lucas offers a vibrant scene of bars, restaurants and music. The Office, The Giggling Marlin, Rip’s and Pink Kitty were some of the places we visited. Of note, The Office has a beachfront seating with live music – and the coconut shrimp cannot be missed. Neither can the margaritas! 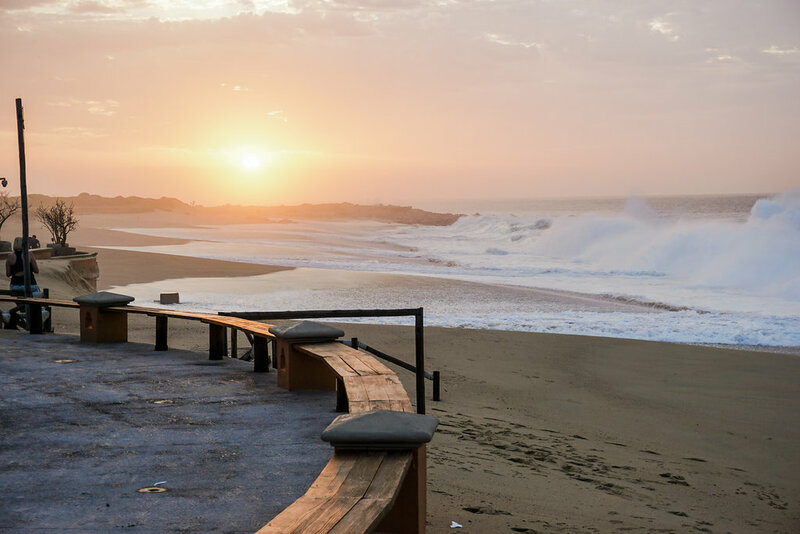 If you’re looking for a more laid back vibe, make the time to visit San Jose Del Cabo. It was a nice change from the bustle of Cabo San Lucas. We walked around to enjoy the views, shops and tacos. 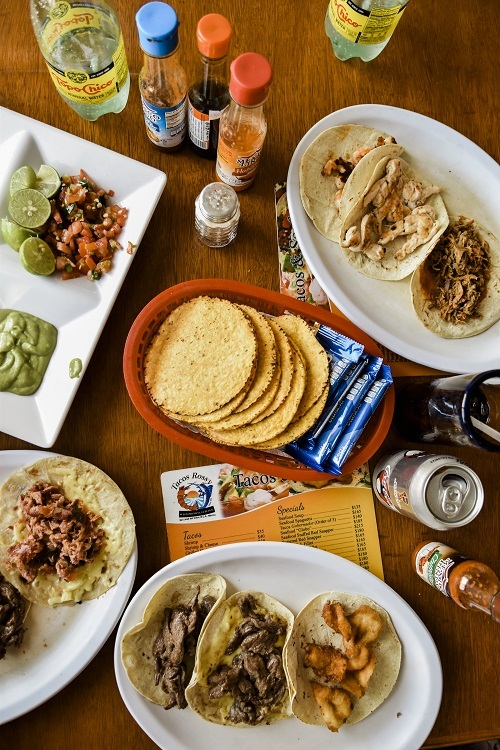 We recommend Taqueria Rossy. We knew we were at the right spot when we noticed we were the only tourists. It’s a must-do in San Jose Del Cabo. If you are ever considering a spa day on vacay, just do it. There are so many to choose from, but the Cactus Spa at the Sheraton Grand is worth checking out. From the moment you walk through the doors, you immediately start to relax, unwind and feel refreshed. The facilities were stocked with endless towels, comfy slippers and the most luxurious robes we’ve ever worn. We booked massages and then took advantage of the amenities all day. 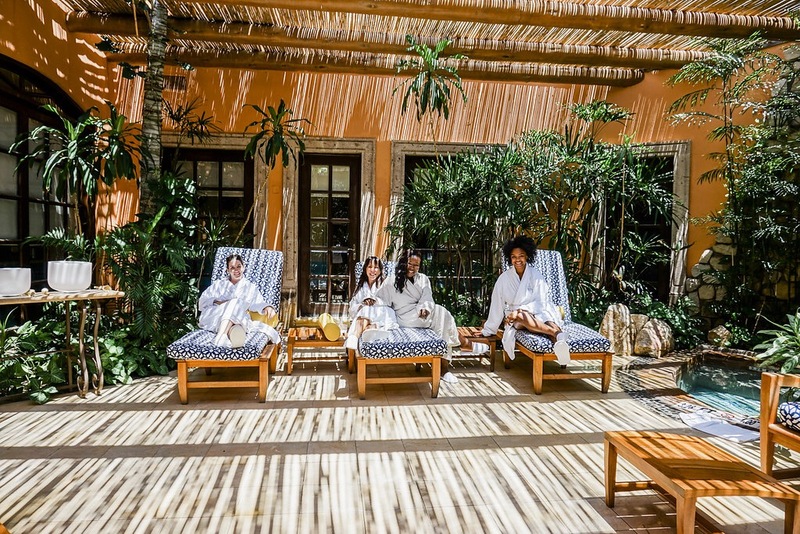 The staff was accommodating and welcoming the entire time, as we spent hours in the spa enjoying refreshing drinks and rotating between the hot tub, ice-cold water and steam room. We also rested in the comfiest spa chairs. So. Needed. Cabo is great girls’ getaway. Whether spring break, a bachelorette trip, mom’s getaway or just a fun weekend, there are so many options to tailor your experience and make it personal. Kachet and Ruthie are two fashion-forward friends taking the world by storm with their incredible love for all things bright and, more importantly, fun! These girls inspire us with their photography and lifestyle expertise. 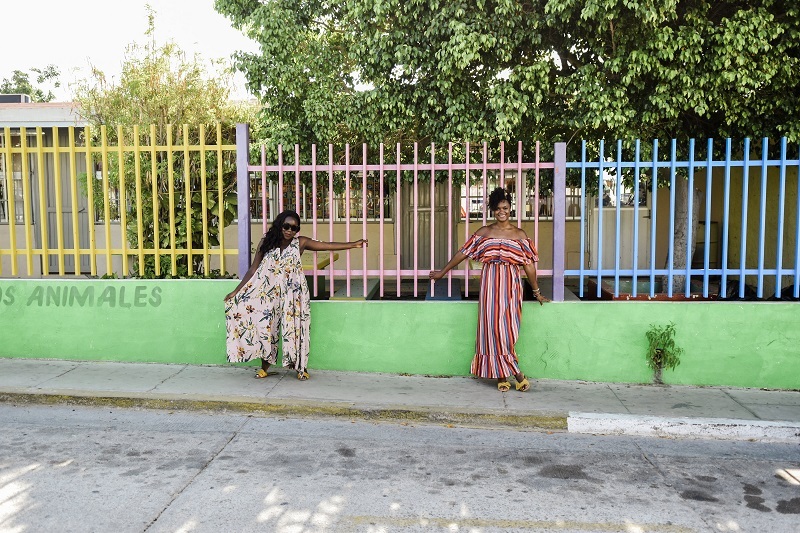 They just returned from a girls trip and Instagram takeover in Cabo San Lucas, Mexico as part of Alaska’s Weekend Wanderer series. For more Weekend Wanderer posts, be sure to follow Alaska Airlines on Instagram.